Babies aren’t interested in your board games, video games, or iPhone Applications. They just want to play Peekaboo, Patty Cake, Ripping up Wrapping Paper, Breaking Your Glasses, or Sticking Their Hands In Stuff. And playing with babies is great fun. You don’t need to look for batteries, find a set of dice, or put your shoes on. You just make faces, do baby-talk voices, and fly your hand around like an airplane. They laugh and giggle and you’re suddenly a world class entertainer. Until of course, it’s that time of the afternoon. You know what I’m talking about. Mommy or Daddy pops in, picks up the baby, does the classic Reverse Angle Diaper Peek move, and finds a little chocolate factory working overtime back there. I didn’t mind changing my nephews diapers. It only got weird when they began to talk. Awkward! Amen to Bill! I just spend the better part of my Christmas holiday getting to play with a baby, and didn’t have to change a single diaper. Being an uncle is awesome! The best is when you can see the problem arise.. you’re playing with the baby, and things are going great, and then all of a sudden you see the baby stiffen up a bit, their face turns a darker shade of red and gets all scrunched up, and then you hear it – they just made a big deposit in the First National Bank of their Pants. Time to call o’er the parents, and for us uncles to make a stealthy exit. I totally did this today and my cousin had to change it: Awesome! I can totally relate to the reverse angle diaper peek… My wife has the perfect technique for that. The baby knows it too! when I try, I go too deep and have a “chocolate” all over my finger. Honestly though, the peek is totally unecessary, isn’t the smell enough? Have a case in court to know to visit at, thanks! It’s positive to check out people discussing baby care and infant matters more often these days. Many thanks for the posting, I spotted this on bing. Ah, to be an Uncle of soon to be 10, and only changed one diaper in 8 years. Babies make funny faces when they poop. But don’t laugh at them. That will make them spend years in therapy. oh man, so I don’t mind changing diapers mostly because I think it goes with my insane desire to be a mom, though I’m not actually ready to have a kid in this moment in time, so doing anything for a kid that is mom-ish is excellent. However, this is not to say I actually enjoy changing diapers, just the feeling of being the caregiver. Also, definitely a good thing to do if you enjoy babies and their easy amusement- youtube laughing baby ethan. I first saw it in one of my classes. It cheers me up in even the darkest of moments, or is just plain enjoyable when I’m having a good day. 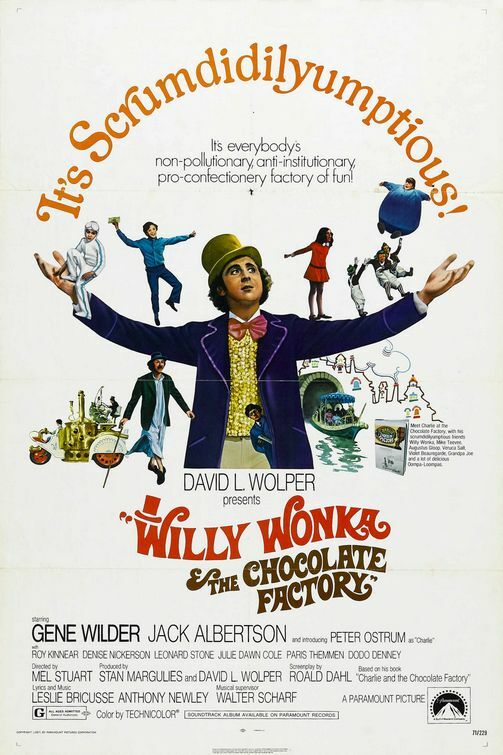 “Little chocolate factory working overtime” and the Willy Wonka poster; the entire entry, PRICELESS! Neil, you are the awesomest dude in the world. At my school, we have a wall of awesome inspired by your blog and books! You rule, Neil! Keep being awesome! it possible for you to do business with customers around the world. maximum benefit for our online business. representatives, it is not hard to find Organo Gold representatives on the web. Web design Orlando not only offers website designing it also looks for web content management depending on the requirement of business. article directories as an easy way of selling their products and providers. their website will disappear from the search engines when algorithms will be changed. potential to be shown to thousands of people by simply starting one thread. Organizational culture influences performance in a big way. Make It Funny ‘ Humour is often key to a successful video viral. and debuts. On the plus side, a number of fun and educational videos can also be obtained online.